ummer has arrived, and millions around the world are retreating to cooler, calmer, and more bucolic destinations. Now, more than any other time of the year, we’re reminded that architecture and design have an inextricable connection to the surrounding natural environment; the most beautiful buildings are often complemented by carefully considered landscapes that, together, create a cohesive and coherent sense of place. With this in mind, I was especially inspired by garden and landscape designer Matthew Wilson’s recent piece The Visionaries behind UK’s Studley Royal and Italy’s Villa d’Este in the Financial Times Weekend House & Home section (my weekly bible!). 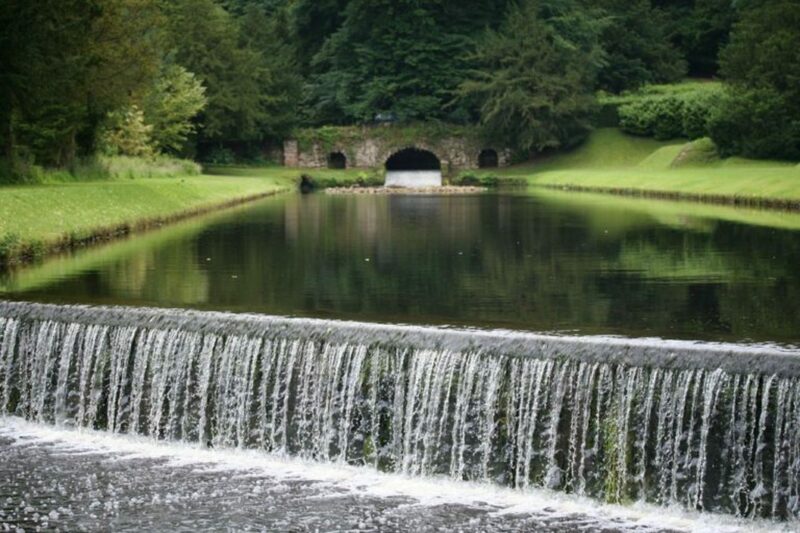 Wilson’s article explores the remarkable parallel histories of Studley Royal park and Villa d’Este, two water gardens that were built over 150 apart amidst financial calamity. The patrons of each garden – John Aislabie and Cardinal Ippolito II d’Este, respectively – were enormously powerful and considerably tragic figures of their time. 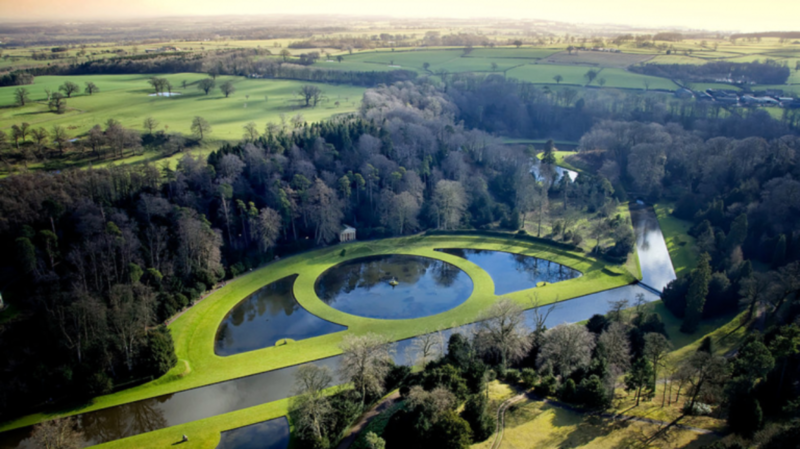 Yet each made an indelible contribution to landscape design that continues to inspire today. Indeed, both Studley Royal park and Villa d’Este are now UNESCO World Heritage sites, an indication of their vast impact worldwide. 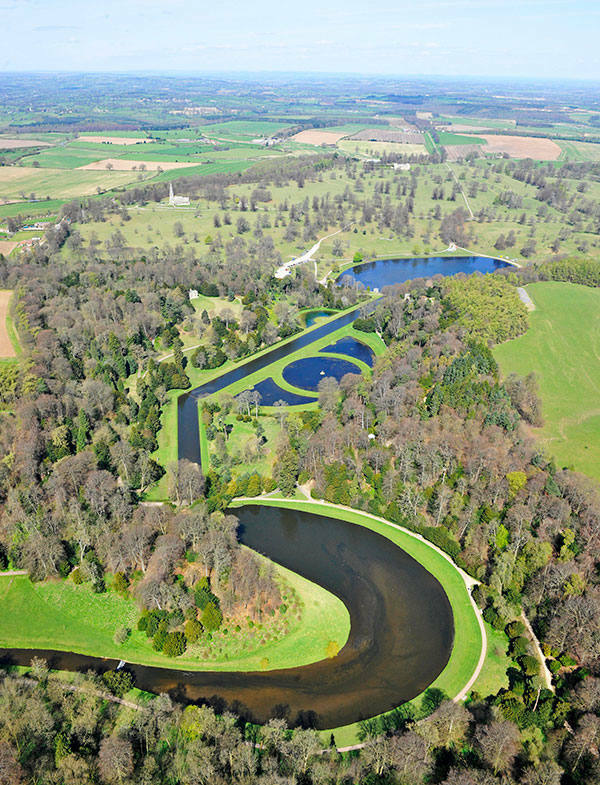 John Aislabie inherited Studley Royal park in Yorkshire at the age of 23. After being elected as a member of parliament in 1695, he was eventually named Chancellor of the Exchequer – a post he left in disgrace in 1721 after contributing to a financial crisis known as the South Sea Bubble. Aislabie was banished to his country estate where, according to Wilson, he “invested his energies into overseeing what is still one of the most unexpectedly arresting celebrations of water in the landscape.” A Moon Pond (which interprets the lunar phases), a Temple of Piety, and numerous “crisply defined geometric bodies of water” stretch from the site of the demolished Studley Hall all the way to the unforgettable ruins of Fountains Abbey. Over 200 years before Aislabie began building his magnificent water gardens, Ippolito II d’Este was born in Ferrara, Italy in 1509 as the second son of the Duke of Ferrara and Lucrezia Borgia. D’Este, who emerged as one of the wealthiest cardinals of the Renaissance, hired classical scholar and artist Pirro Ligorio to envisage a villa in Tivoli to rival “anything built by the Romans.” Work began on the villa in 1560, and although d’Este burned through his fortune by 1572 before it could be completed, it is impossible to not be impressed by his “lavish vision.” Today, Villa d’Este features 364 water jets, 398 waterspouts, 64 waterfalls, and 220 basins. 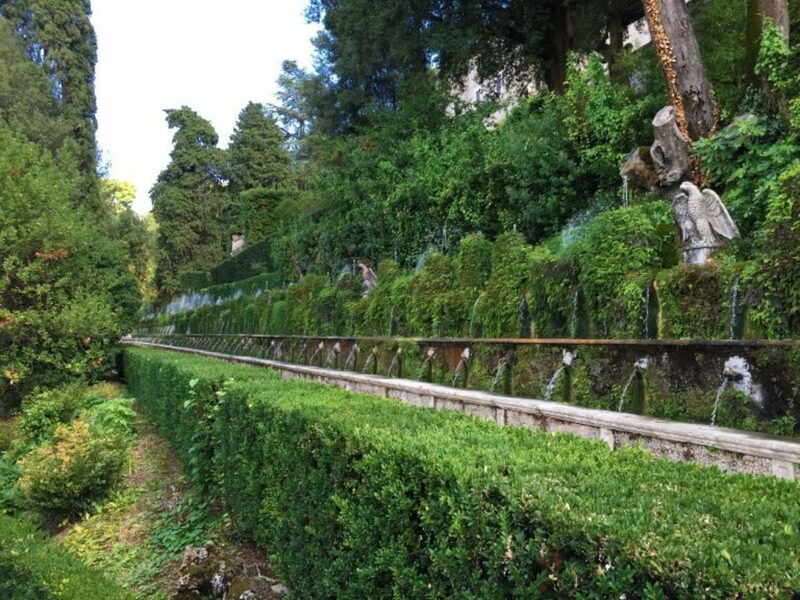 One of the most remarkable characteristics about these two gardens – one British and the other Italian – is that they were both created before the advent of the pumping mechanism, and therefore depend entirely on gravity and the engineering of existing bodies of water to create the final designs. 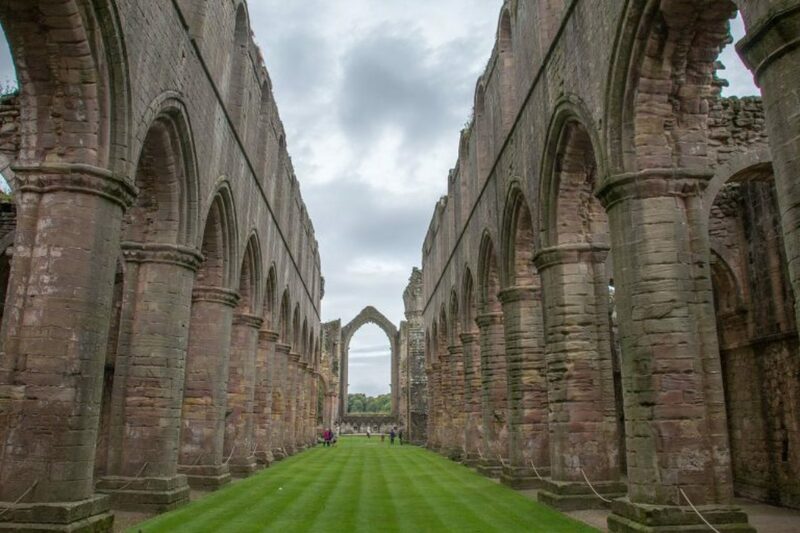 It is also remarkable that they are both so well preserved, despite the financial constraints and turbulent transfers of ownership that plagued both locations following the deaths of Aislabie and d’Este. 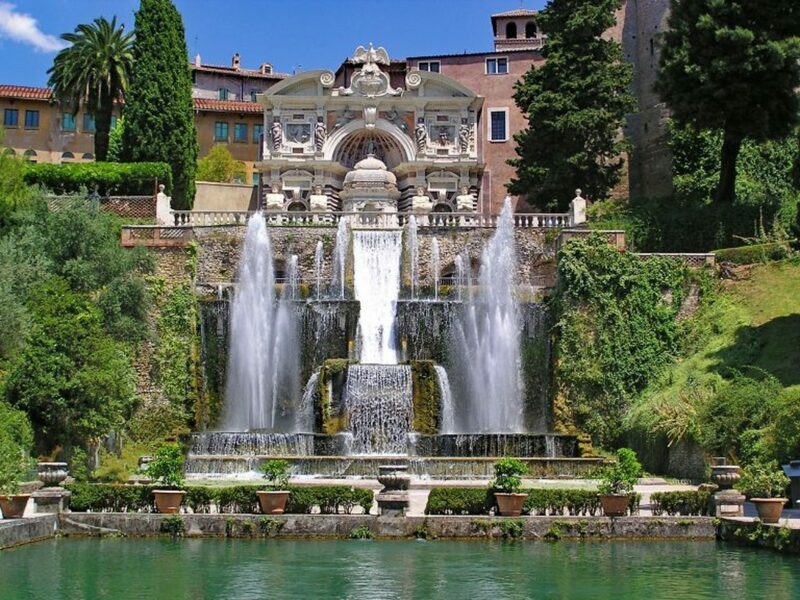 Villa d’Este continues to serve as a vital source of inspiration for students, practitioners, and enthusiasts of classicism. 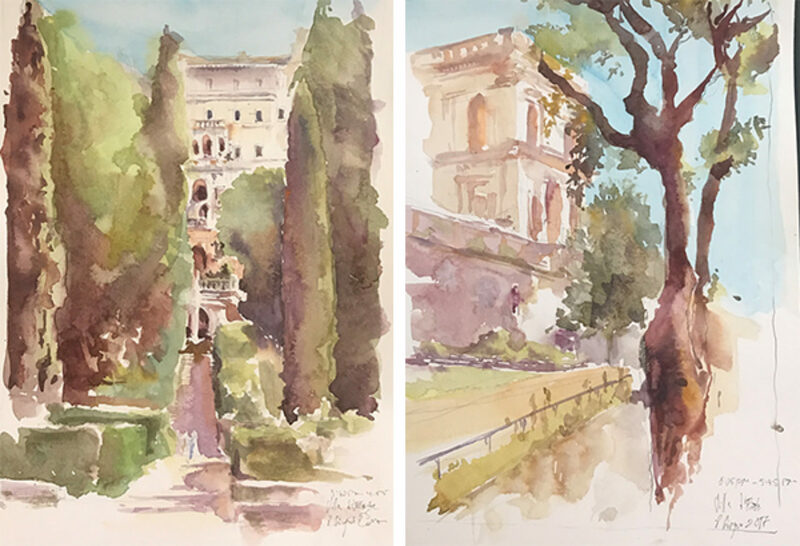 Earlier this month participants on the ICAA’s annual Christopher H. Browne Rome Drawing Tour visited the garden, where they created sketches and watercolor drawings inspired by the site’s exceptional beauty. 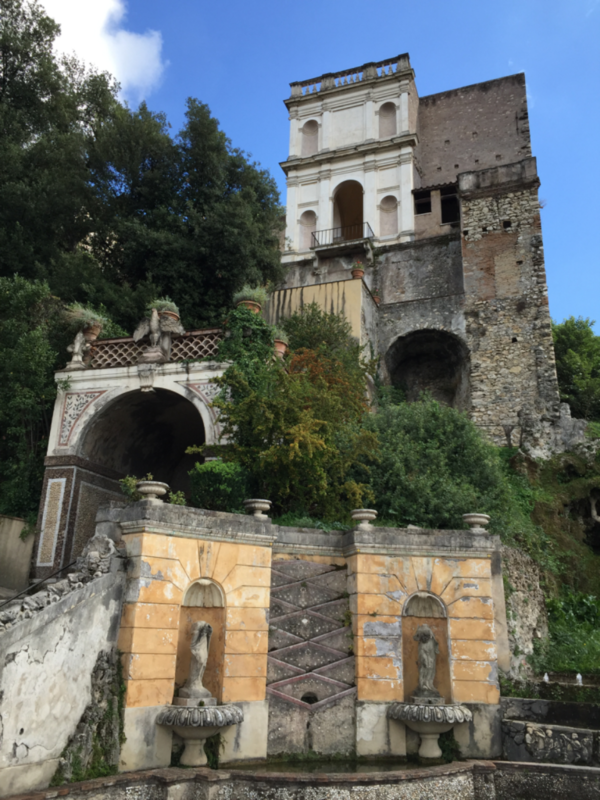 The tour, which is named in honor of the ICAA’s late Trustee, Mr. Christopher H. Browne, also visited nearby Villa Hadriana, which served as an inspiration for d’Este (as well as a source for statues and marble). There is a clear and essential link between the landscape and its complex relationship to the buildings and spaces we inhabit; this indispensible connection between architecture, landscape design, and the many other disciplines that contribute to our built environment represents a key component of the ICAA’s mission. Successful design recognizes the interplay of each of these unique elements, allowing them to work together in synthesis. As a part of its ongoing commitment to celebrating the importance of garden and landscape design in classical architecture, the ICAA has a number of upcoming programs featuring celebrated speakers who will share their knowledge on this very topic. On September 19, world-renowned garden designer Arne Maynard will speak about the “Formality and Informality of Garden Design” in a special lecture co-hosted by Architectural Digest. And on January 20, 2018, David Gobel, Professor of Architectural History at Savannah College of Art and Design, will lead a continuing education class at the ICAA entitled “The Villa and Garden Design, the Paradox of Paradise,” exploring the villa and garden tradition from antiquity to the present. I hope to see you at these upcoming programs. 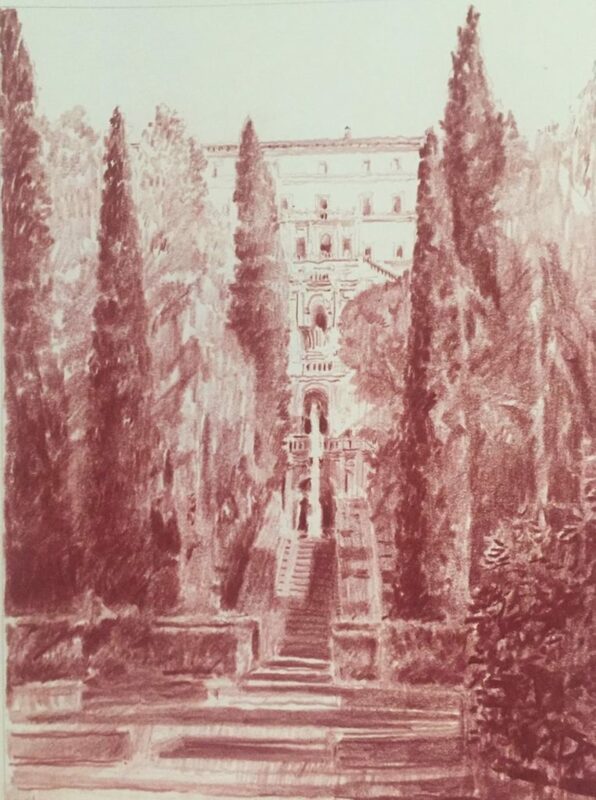 In the meantime, this summer, I encourage everyone with a passion for classicism to bring yourselves and others to places like Villa d’Este, Studley Royal, and the architecture and landscapes in your own communities that energize and inspire.